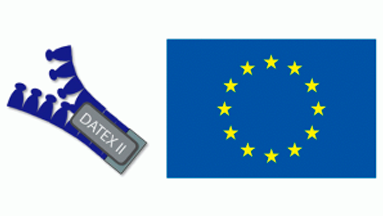 The DATEX II organisation is pleased to announce the 2016 DATEX II User Forum on 13th and 14th September in Dublin. 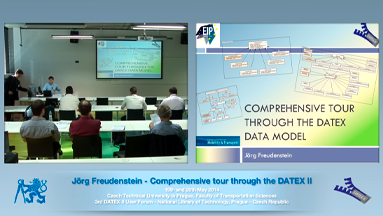 An introduction about what to find where in the DATEX II information model and the basic DATEX II Information Model design. DATEX II profiles and extensions, by Jörg Freudenstein. An explicit requirement is missing in prEN 16157-1 that ensures unique namespace names. Since the namespaces are actually derived from the D2namespace package name, the rules has to require all names of D2Namespace packages in a model to be unique. Since a PSM property exists that controls the use of namespcae prefixes in generated XSD code, unique values hae to be required for these properties as well. Annex A.3 of prEn 16157-1 as submitted to CCMC for publication describes rules how UML qualifiers are mapped to XSD. The tool implements these rules and the mapping is consistent with the handling of qualiifers in earlier DATEX II versions. Qualifiers are actually used throughout the Level A model, as is the basis for EN 16157-2, 3 and 7 and will be the basis for further parts of the standard. Nevertheless, there is no rule mentioning the use of UML qualifiers in the main section of the document.